Moments ago, neo-Nazi leader Jeremy Bedford-Turner was unanimously convicted by a jury of incitement to racial hatred over a speech he gave in 2015 at a demonstration called to protest against the “Jewification” of Golders Green. The sentence has not yet been handed down. I know Jez personally, but only as an online correspondent. We’ve exchanged several friendly emails. A nice guy who wouldn’t harm a fly. I had no idea Jez was a “neo-Nazi”. Never once in his correspondence with me did he mention Hitler or Nazi Germany or say anything even vaguely inflammatory. He was always courteous and restrained, with a sunny disposition and a great sense of humor. Too bad they’ve manufactured a reason to throw him in prison! When he emerges, he will have have a prison record. He will find it hard to get a job. He will no longer be invited to give lectures. Anyone who associates with him will be regarded as a leper, a neo-Nazi sympathizer. His freedom of speech will be severely curtailed, and he will have to watch every word he says from now on. And yet we told that it is an “antisemitic canard” to talk of “Jewish power”. Jews are the Eternal Victims, facing endless pogroms and persecutions and fighting back valiantly against shocking calumnies. So we are instructed daily by the mass media. Apologies for speaking out. I broke my own rule of being a “silent reader” on this forum! I did it for Jez’s sake, because I know he shouldn’t be in prison and that this is a cruel miscarriage of justice. There are others being similarly mistreated right now: Ursula Haverbeck, Monica Schaefer, Alison Chabloz. Who is next in line for the guillotine I shudder to think! This certainly doesn’t increase our respect for the law. 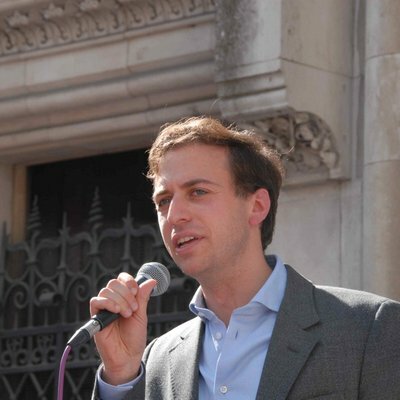 The prosecution was blocked for two years by the Crown Prosecution Service (CPS), forcing Campaign Against Antisemitism (CAA) into a long legal battle which culminated in the CPS having to reverse its decision not to prosecute Mr Bedford-Turner. CAA welcomes the verdict and the clear and strong message that it sends that stirring up racial hatred against Jews will not be tolerated, but the key question now is why the CPS got this case so dismally wrong. Evoking medieval libels which claimed that Jews drank the blood of non-Jewish children, Mr Bedford-Turner told his followers, of whom one third were from the violent extreme-right National Rebirth of Poland group, that the French Revolution and both World Wars were massacres perpetrated by Jews. He concluded that England was “merry” during the period of the expulsion of Jews from England and demanded: “Let’s free England from Jewish control.” The speech was filmed and posted on YouTube, where it remains. LD: The article neglects to mention that Jez’s reference to England being known as “merry” during the long period of Jewish expulsion was not something Jez made up himself in order to mock the Jews; he was simply referring to a witty and well-known quote by Nesta Webster. Mr Bedford-Turner was only prosecuted because we forced the CPS to defend British Jews, against its will. The CPS was expertly represented by Louis Mably QC during the trial, but though the prosecution cannot be faulted, the CPS itself has behaved appallingly to try to stop this prosecution from taking place. Mr Bedford-Turner was only prosecuted because we forced the CPS to defend British Jews, against its will. We have since been told by a source at the CPS that it was the Director of Public Prosecutions who personally interceded to overrule a senior prosecutor who had advised going ahead with the prosecution. Whilst waiting for the High Court to decide whether to allow CAA to proceed, the case was brought to the attention of the Director of Public Prosecutions and the Chief Executive of the CPS, but we have since been told by a source at the CPS that it was the Director of Public Prosecutions who personally interceded to overrule a senior prosecutor who had advised going ahead with the prosecution. In the end, on 6th January 2017, the Hon. Mr Justice Haddon-Cave gave CAA’s judicial review permission to proceed on all grounds and limited CAA’s cost liability to zero. He held that this case “raises potentially important issues for society in this growing area of racist and religious hate crime.” The case was expedited to be held before a Divisional Court of the Administrative Division of the High Court on Wednesday 8th March 2017, but on the eve of the hearing, after more than a year of maintaining that her decision was correct, the Director of Public Prosecutions agreed that the decision should be quashed and taken again by a more senior lawyer. 64% of British Jews felt that the authorities were not doing enough to address and punish antisemitism. Only 39% of British Jews have confidence that if they reported a hate crime, it would be prosecuted if there was enough evidence. 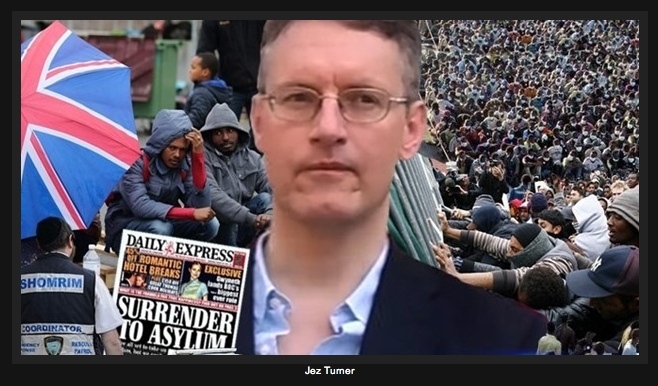 For more on Jez Turner, see “The Trial of Jez Turner: A Jewish Witchhunt“, which is an abridged version by Lasha Darkmoon of an excellent article by Andrew Joyce on the Occidental Observer. Gideon Falter (pictured), Chairman of CAA, said: “We are delighted by this result, Jeremy Bedford-Turner has been unanimously convicted by a jury of incitement to racial hatred. The real question is why the Director of Public Prosecutions and CPS got this so dismally wrong. CAA had to battle the CPS in court since 2015 to force them to prosecute this case, but a speech that took us and a jury moments to understand as a clear-cut case of incitement, was repeatedly and wrongly dismissed by the CPS as not only not an offence of incitement, but not even a lesser offence. This was always a matter of basic law and common sense.